Tiger Woods’s win at The Masters has cost Bookmakers millions. 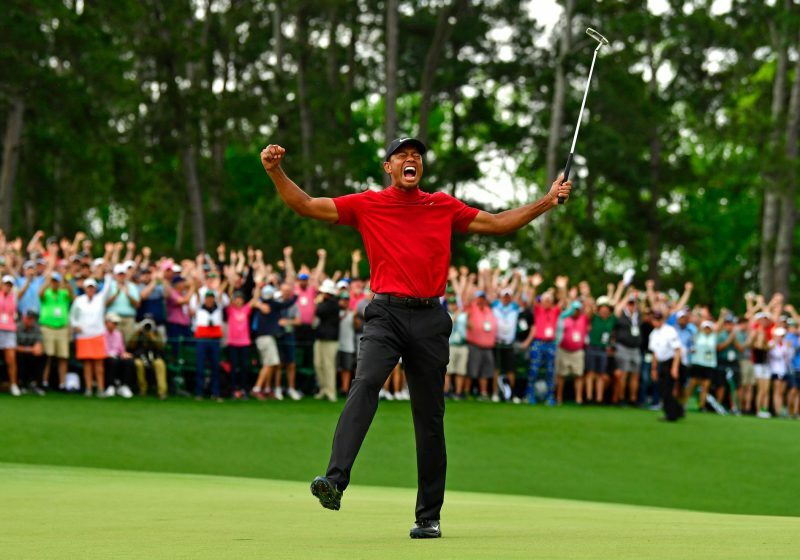 Woods sealed his first major triumph in over a decade by claiming the win at Augusta on Sunday – in the process landing his fifth green jacket. Woods began the week as one of the favourites and he followed it up by securing victory, his 15th major of his career – but the first where he has come from behind. “Coming up 18 I was just trying to make a five. When I tapped in I don’t know what I did, I know I screamed,” said Woods. Bookmakers are now counting the cost of Woods’s win, coming just a week after Tiger Roll’s Grand National win. Every Bookmaker offered a sizeable double of around 80/1, and number of punters took them up. BoyleSports have already installed Tiger Woods as 9/1 favourite to retain The Masters in 2020 and claim his sixth green jacket – which would level Jack Nicklaus’s record.